WASHINGTON – It was the greatest political deal that was – until it wasn’t. Unless it still is. After Democratic leaders said Wednesday night that they had reached a deal with President Donald Trump to preserve DACA, without a border wall requirement, social media exploded – along with some Republican members of Congress. But official Washington spent much of Thursday walking back and parsing statements about the deal while advocates were left scrambling to find the real meaning – or shrugging at more political posturing. Conservatives like Rep. Andy Biggs, R-Gilbert, demanded that Trump “prioritize full enforcement of our immigration laws,” while a Sahuarita minister in town to lobby for the DREAM Act said he planned to keep plugging along, deal or no deal. As the debate see-sawed and reaction went viral with the #DACADeal hashtag, others tried to put it into perspective. 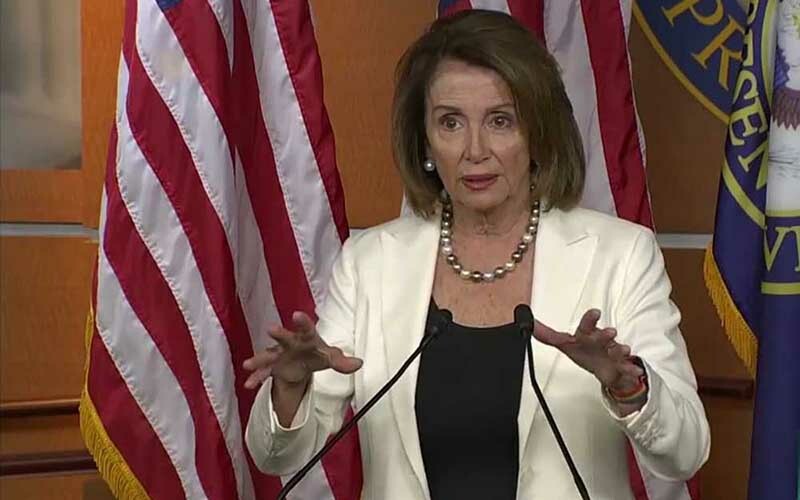 The political talk began Wednesday with a joint statement from House Minority Leader Nancy Pelosi and Senate Minority Leader Chuck Schumer after the two Democratic leaders and Trump had dinner at the White House. The Democrats said they and Trump had agreed to “enshrine the protections of DACA into law quickly,” while improving border security measures “excluding the wall” that has been a hallmark of this administration. The statement lit up social media from both sides. Over the next 24 hours, #EndDACA got more than 3.2 million impressions on Twitter while #DACADeal earned 3.8 million impressions. 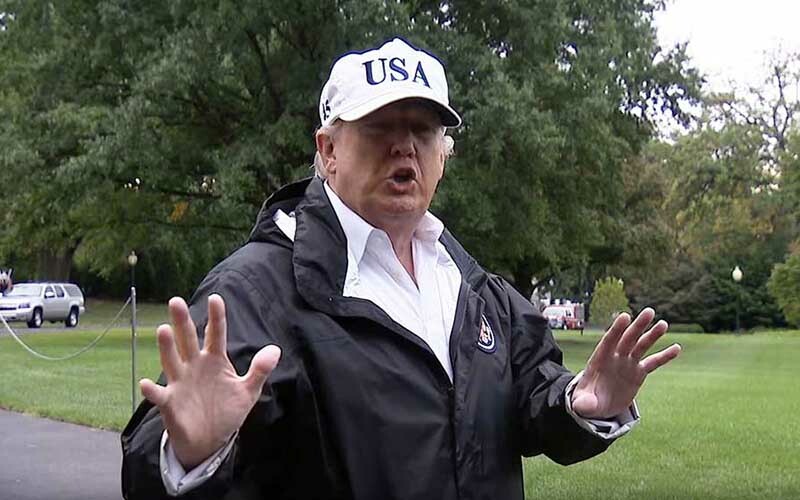 Trump quickly disputed the Democrats’ claims, tweeting Thursday morning that there had been discussions but no deal. While he showed sympathy for DACA recipients, his tweets said there was no deal on legislation to protect them and he insisted that building a border wall remains a priority. Before heading to Florida, the president told reporters that Pelosi and Schumer’s Republican counterparts, House Speaker Paul Ryan and Senate Majority Leader Mitch McConnell, were “on board” with possible compromise on the DREAM Act. Pelosi and Schumer released another joint statement in which they said the president’s tweets were “not inconsistent” with Wednesday’s talk. 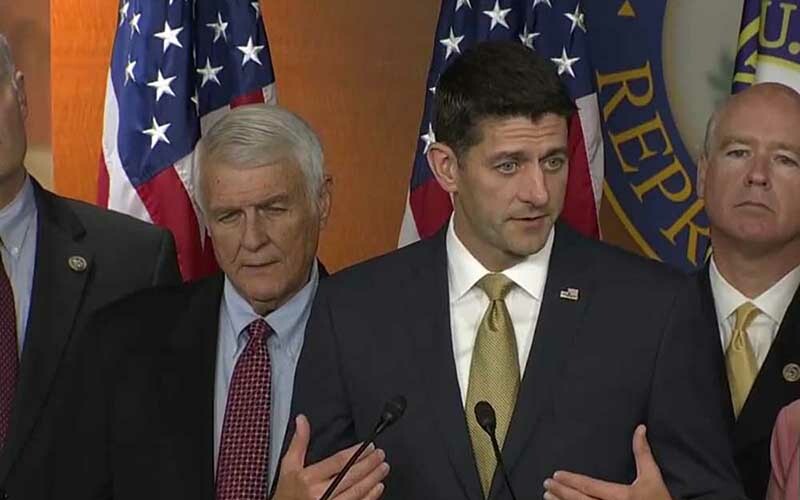 “There isn’t an agreement and if we don’t fix the problems we have with border security and enforcement and we would only fix DACA, we’re going to have another DACA problem a decade from now,” Ryan said at an afternoon news conference. He said Democrats, as the minority in the House and Senate, will have to work with Republicans and he believes a compromise can be reached before DACA ends in six months. He said Democrats are already beginning to agree that any agreement to pass the DREAM Act must include increases in border security and enforcement. Despite those assurances, advocates on the right cautioned Trump against making a deal with Democrats. “We trust that President Trump will not be so inept as to concede his one area of bargaining leverage – a DACA adjustment program – without gaining major legislative progress on what was a core issue of his entire presidential campaign,” said a statement from the Federation for American Immigration Reform. “Congress should prioritize full enforcement of our immigration laws, eliminating incentives that drive illegal immigration, and fully funding a physical border wall,” Biggs said. Cato’s Bier said that while a deal is probably far off, the right is probably more justified in its outrage Thursday than the left in any perceived victory. Arthur said it would be to Democrats’ benefit to frame the meeting as a win. But the Rev. Noel Andersen, who lobbied to save DACA and then to pass the DREAM Act, was not about to relax Thursday. Andersen, of World Church Service, said that, despite buzz from both sides, the alleged deal will not affect his work for now. “There are different sides of the story,” Andersen said. “I’m not sure that a lot has changed between yesterday and today. “We’re still trying to pass a clean Dream Act and of course we don’t want any enforcement or border security attached to that,” he said. – Cronkite News reporter Fraser Allan Best contributed to this report.